Now, the filmmakers have released a series of character posters to promote the upcoming two-part live action adaptation… With the cast portraying their specific roles for the epic movie! 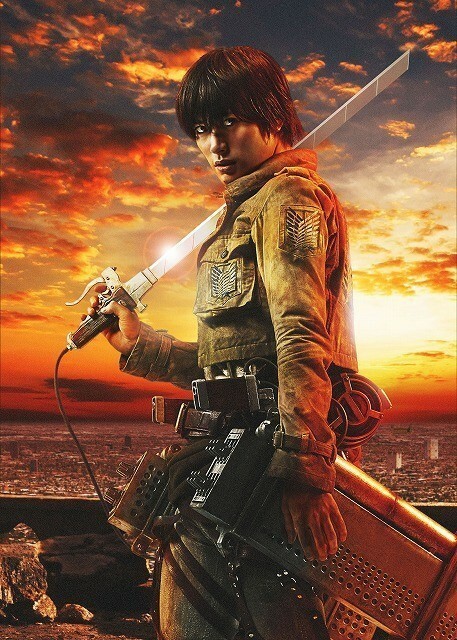 On top is actor Haruma Miura as the series protagonist Eren Yeager himself. 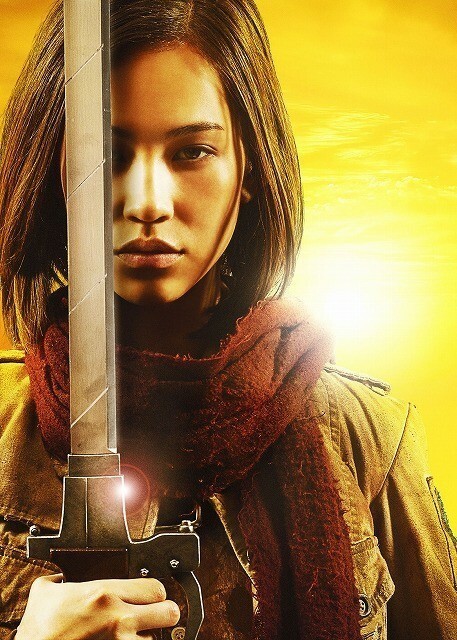 Then there’s the beautiful Kiko Mizuhara as Mikasa Ackerman. Fans who love this character surely feel happy to see how striking the resemblance of the actress is to the source material. 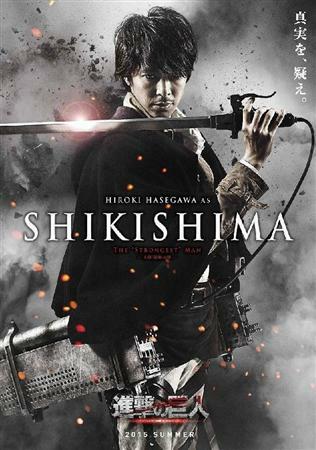 Besides the main characters however, one of the new draws to the live-action SnK/ Attack on Titan film will certainly be the movie-exclusive characters, one of which is Hiroki Hasegawa playing the part of “Shikishima” – who is considered “humanity’s strongest man”. While there will certainly be differences from the manga/ anime itself, Shingeki No Kyojin’s creator Hajime Isayama is tied to the film as supervisor and overseeing the development of this two-part epic. Both films will be directed by Shinji Higuchi, and will be released on the summer of 2015. For more information as well as looks at the other character posters, visit the source post at Anime News Network. For those who don’t the story yet, Attack On Titan is a dark fantasy and post-apocalyptic story of humanity fighting against gigantic people-eating monsters known as “Titans”. The survivors have then been forced to boarder themselves up in seemingly impenetrable cities with large walls to prevent the titans from eating them. At the center of this story is Eren Yeager, a young man who lost his mother to a titan and seeks revenge by joining the military alongside his childhood friends Mikasa and Armin. What Eren doesn’t realize is that there is more to things than a simple war against monsters, as he discovers when he finds out he has the ability to transform into a titan himself. 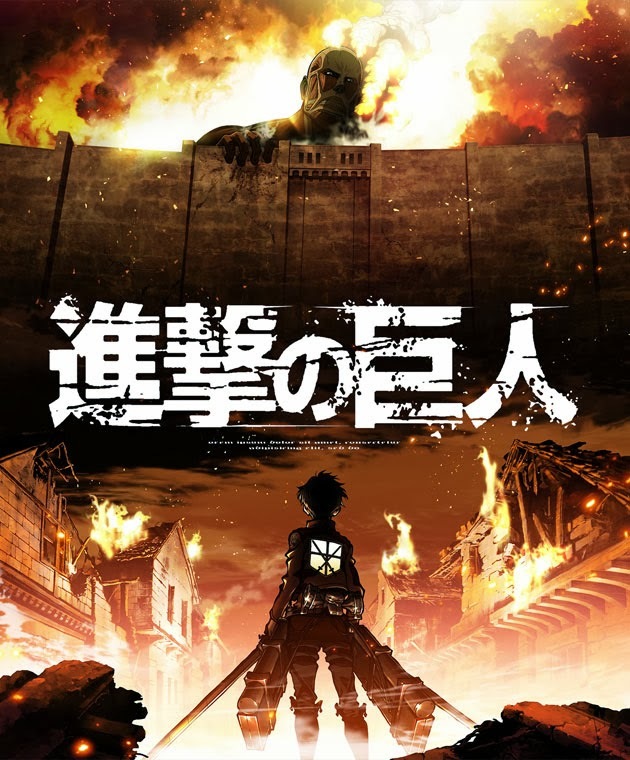 The Shingeki No Kyojin/ Attack on Titan live action movies will both open on Summer 2015! Previous articleGuardians of the Galaxy: Blu-Ray and DVD home media video clips and trailer released! Five new animated series are coming to Netflix soon!